Ever since Sri Sankaracharya's time, the Bhagavad Gita has been recognized as one of the three authoritative and basic source books (prasthana-traya) of Vedic religion. 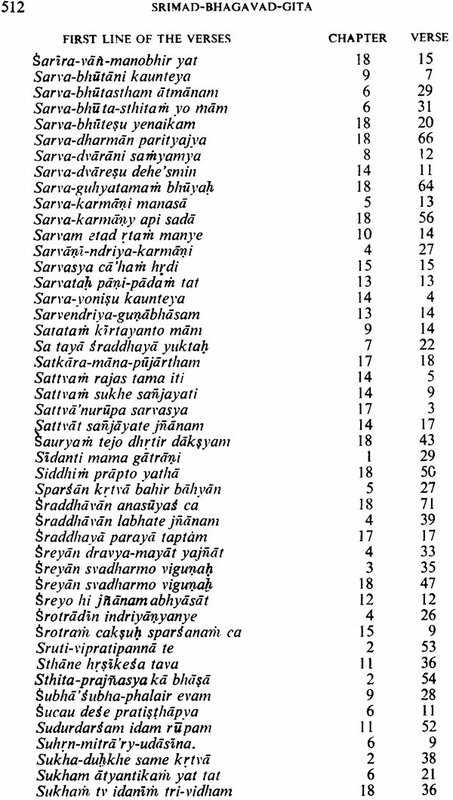 Though Sri Sankara's Introduction to his commentary on the Gita bemoans the misinterpretation of this Text by others, we have no extant commentary or any kind of writing on the Gita that precedes him. 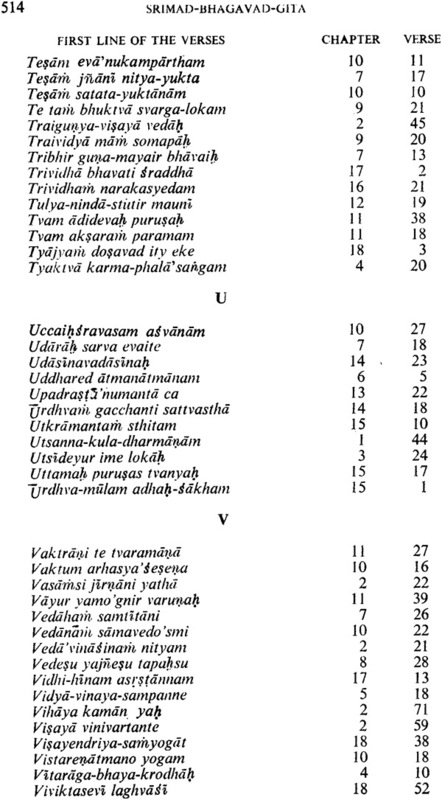 So it is reasonable to surmise that it was Sri Sankara who for the first time lifted it up from the vast ocean of Mahabharata literature, and fixing its verse-contents at seven hundred, wrote an authoritative commentary on it, which is still studied with respect even by those who do not subscribe to his interpretation of it. 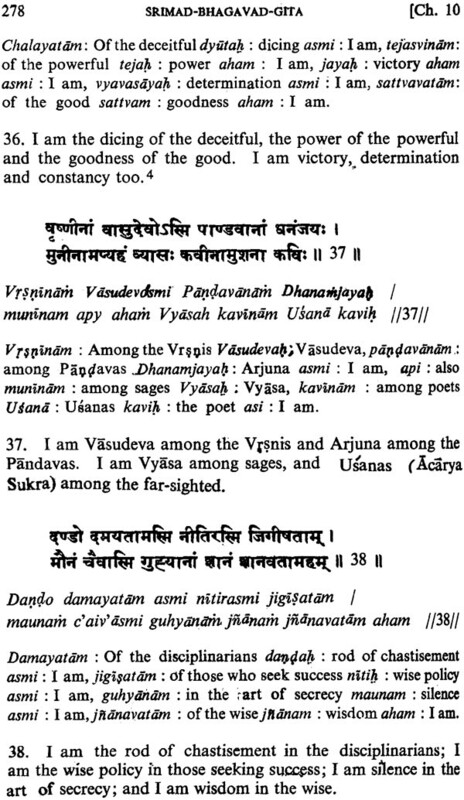 We may also surmise that it must be he who gave recognition to it as an Upanisad and as Brahma Vidya - a scripture that shatters ignorance and gives the knowledge of Brahman - as it calls itself in the colophon. The goal of life is to manifest this Divine within by controlling Nature, external and internal. Do this either by work, or worship, or by psychic control, or philosophy, by one or more or all of these- and be free. 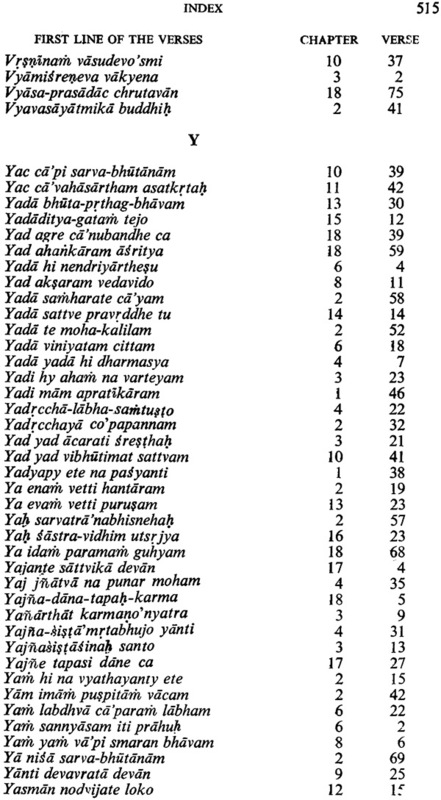 Among the world's scriptures, the Bhagavad Gita is one of the most popular texts. 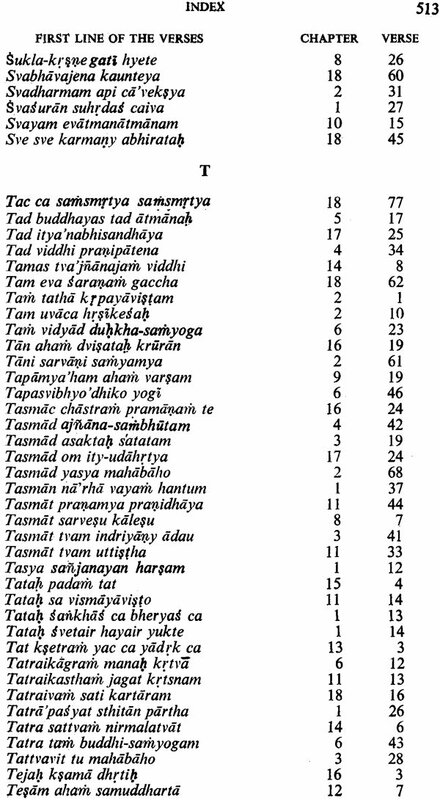 Its popularity is demonstrated by the fact that next to the Bible it is perhaps the most widely translated of scriptural texts, and in several languages, both Indian and foreign, its translations are to be counted in dozens. This tremendous general appeal of the Bhagavad-Gita "vas voiced forth in prophetic words by Warren Hastings, the first British Governor- General of India (1773-85)-a personality one would least expect to deal with such a subject. 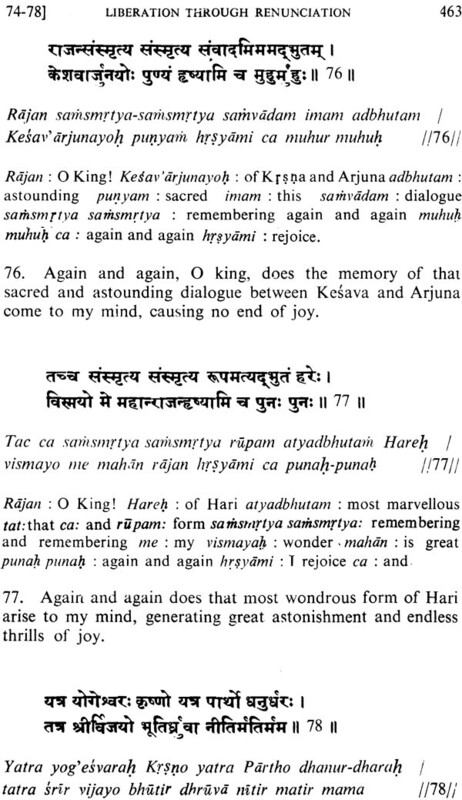 In his Introduction to the first-ever English translation of the scripture by Charles Wilkins (1784), Hastings has remarked that "works as the Gita would live long after the British dominion in India has ceased to exist" and that it contains passages "elevated to a track of sublimity into which our habits of judgement will find it difficult to pursue." 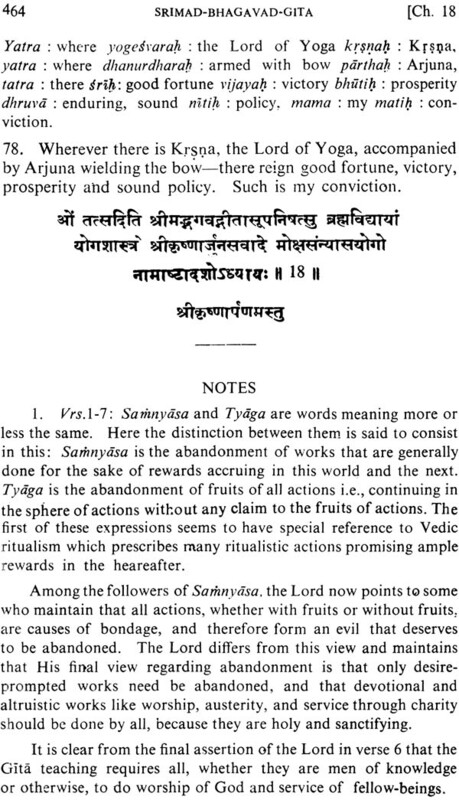 In India it has attracted the attention of all the Acaryas (teachers) of the Vedanta philosophy, of which it is recognised as one of the three source books, ever since the great Sankaracarya wrote his commentary on it. Following Sankara, all the Acaryas of the different schools of Vedanta wrote commentaries on this great text, each interpreting it in support of his own thesis. It has been given the status of an Upanishad, a revealed scripture embodying the quintessence of the Vedic. revelation, as enunciated in the following- oft-quoted verse: "All the Upanishads are the cows, the cowherd boy Krishna is the milker, Arjuna is the calf, the pure-minded are the consumers, and the ambrosial Gita is the delicious milk". 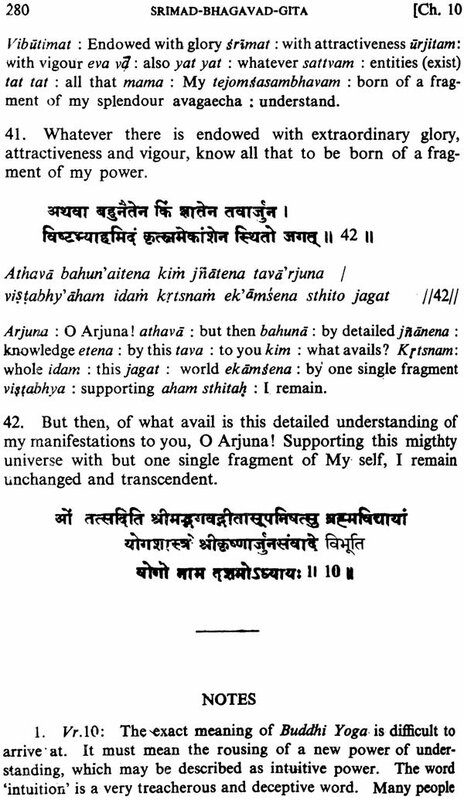 What is the secret of this tremendous appeal of the Bhagavad-Gita? Probably it consists in the fact that it deals with a practical problem of life, namely, how a man could discharge his duties as a member of an imperfect social order and at the same time realise his highest spiritual destiny envisaged by the sublime metaphysics and theology enshrined in the Vedic revelation. The Gita, therefore, begins with an ethical problem, and in solving this problem, a noble devotional philosophy is expounded. 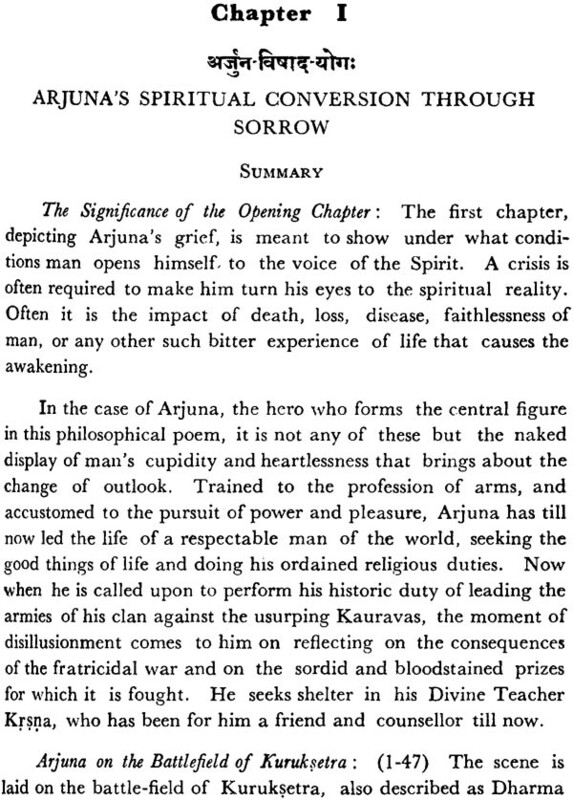 The ethical problem is graphically depicted at the outset through the predicament of Arjuna. Arjuna is the leader of the Pandava host, and his whole life has been a preparation to meet his cousins, the Kauravas, in battle, defeat them, and wrest from them the kingdom they had usurped' from himself and his brothers. 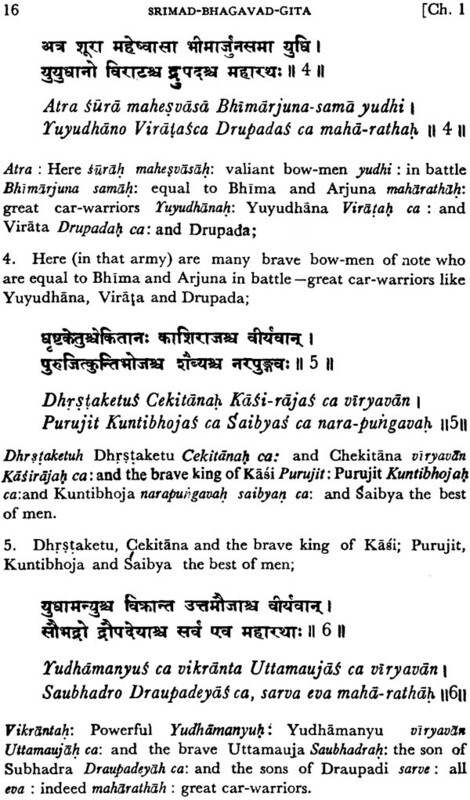 The Gita scene is cast in the battlefield of Kuruksetra where the armies of both the sides have gathered, and Arjuna is called upon to fulfil his historic mission by leading his men against the army of the Kauravas. 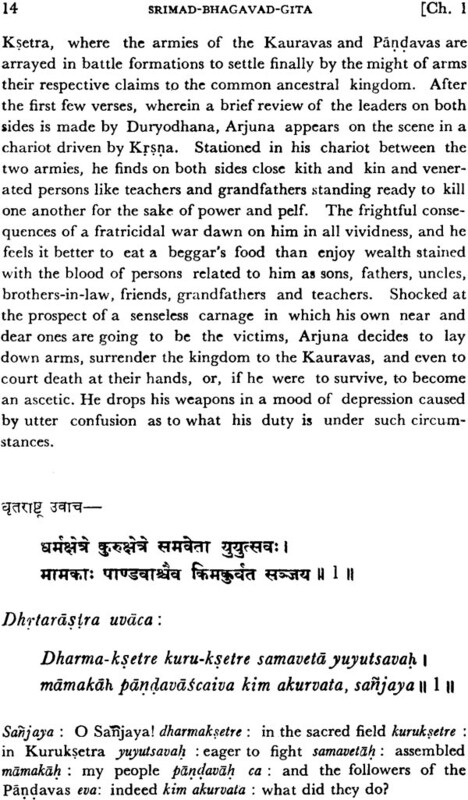 Arjuna realises at this critical moment that it is a fratricidal war, and that its consequence will be the destruction of the very friends and relatives for the sake of whom men usually seek wealth and kingdom, as well as the social chaos consequent on the holocaust of the flower of Kaurava and Pandava chivalry. A war-weariness and a world" weariness together come upon him with dramatic suddenness. 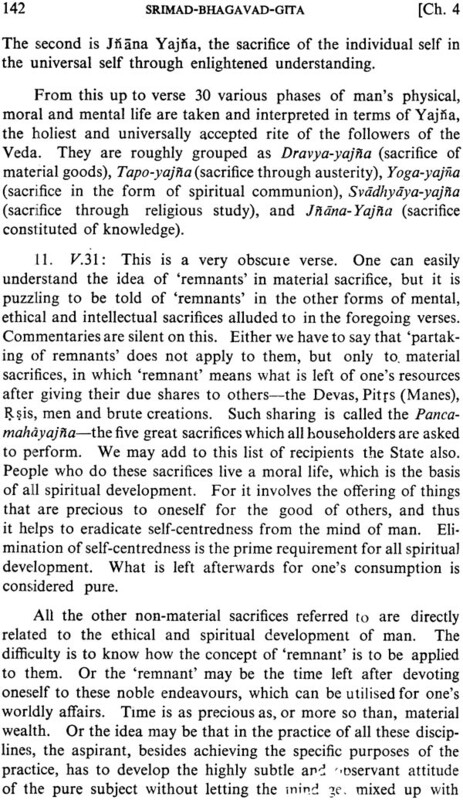 Under their impact he forgets all his social and family obligations, and wants to take to an ascetic life instead of indulging in what he conceives to be a senseless carnage under the guise of duty (Swadharma). He becomes a pacifist and a quietist all of a sudden. The conflict here is between a sudden and purely personal inclination bursting on one's mind and a social duty, the avoidance of which under that inclination would have meant ruin to a whole community that had laid its trust in one. Sri Krsna, though God incarnate, is Arjuna's friend, charioteer and spiritual counsellor, and he is called upon to resolve the conflict in Arjuna's mind and restore him to a sense of moral equilibrium by finding a new sanction for action. In the protracted dialogue between the teacher and the disciple, the final answer to the problem is given only at the end, out the mind of Arjuna is prepared for it by a series of talks on the inexorable nature of work in the life of man and on the utter futility of Arjuna's resolve to withdraw from a life of action. 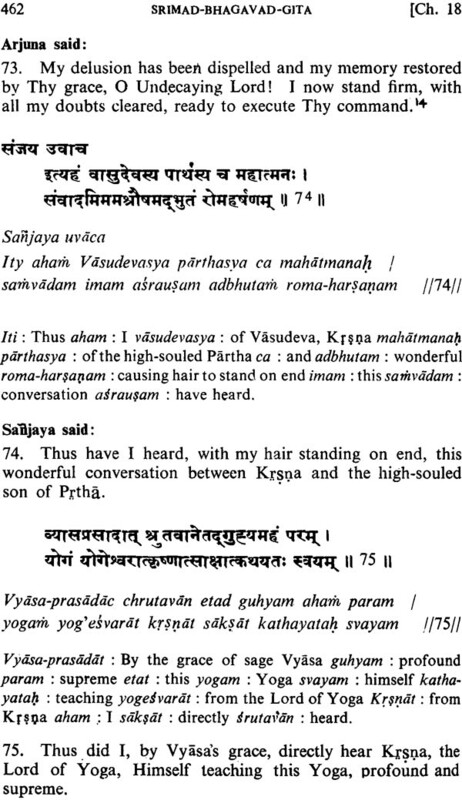 Man's body and mind are parts of Prakrti (Nature) which is dynamic in its constitution. 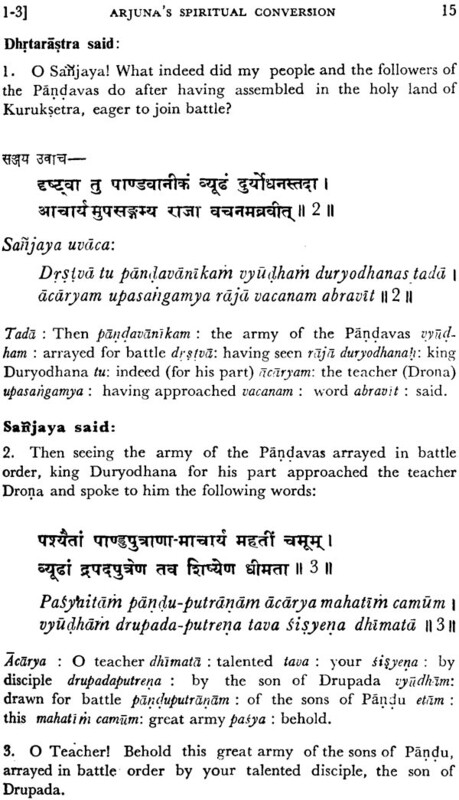 As a product of Prakrti , action is the law of life for the mind and the body, and the very process of living is impossible without it. 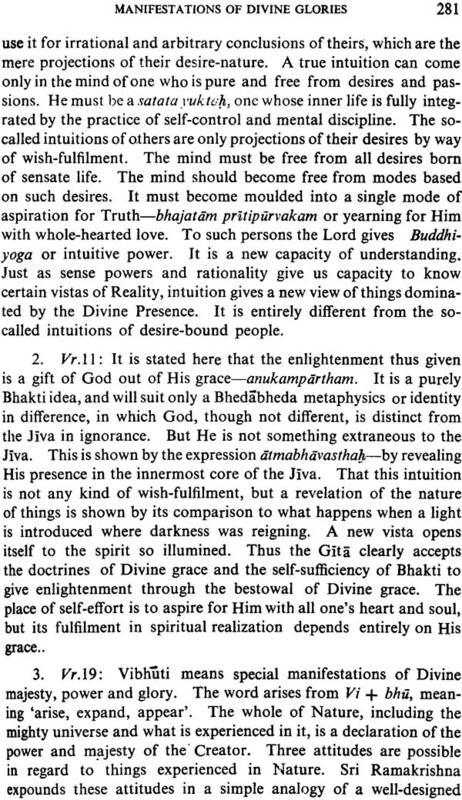 And so its elimination can only mean practice of idleness according to one's convenience, and he who attempts it under a false impression- of his spiritual greatness, will end in rank hyprocrisy and spiritual stagnation. 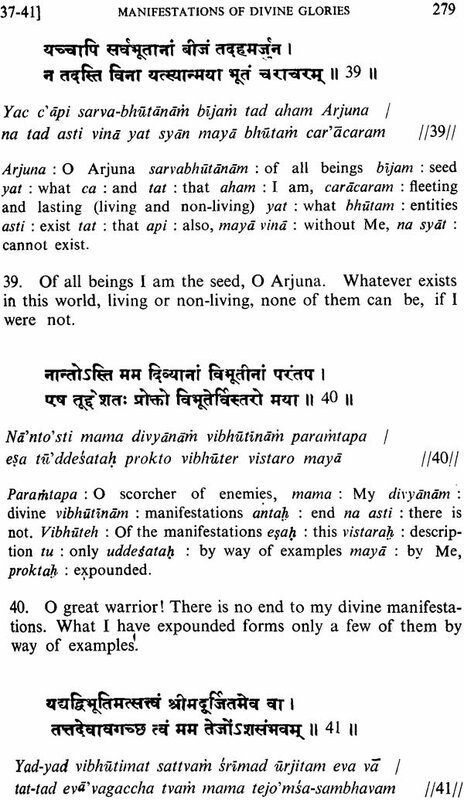 Only one, who has overcome the body idea completely and is established in the sense that he is not the body but the immortal, ever- conscious and ever-blissful Atman, can be actionless; for, he no longer identifies himself with the body, the product of Nature. Besides, from the ethical point of view, every one with body- consciousness has to remember that he is living in a community of similar beings governed by a cyclic law of mutual exchange of services and commodities. If he does not contribute his share to it by means of work but enjoys the benefits of others' work for the maintenance and comfort of his own body, he lives the life of an exploiter and a thief. 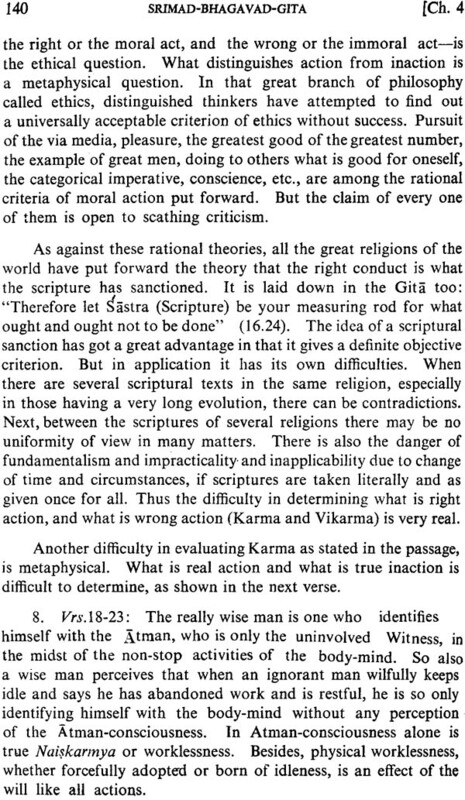 He has no moral basis and hence no spiritual progress. Even in the case of a person who has been emancipated from identification with the body, it is better that he works. 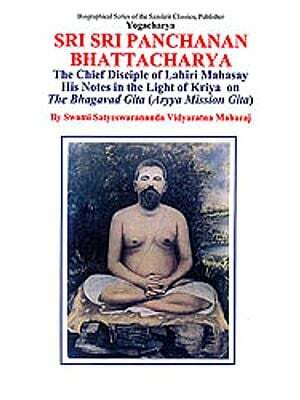 He has not the compulsion of duty as in the case of the ignorant man, but he may feel the compulsion of love, which makes one work for lokasamgraha or world-welfare. 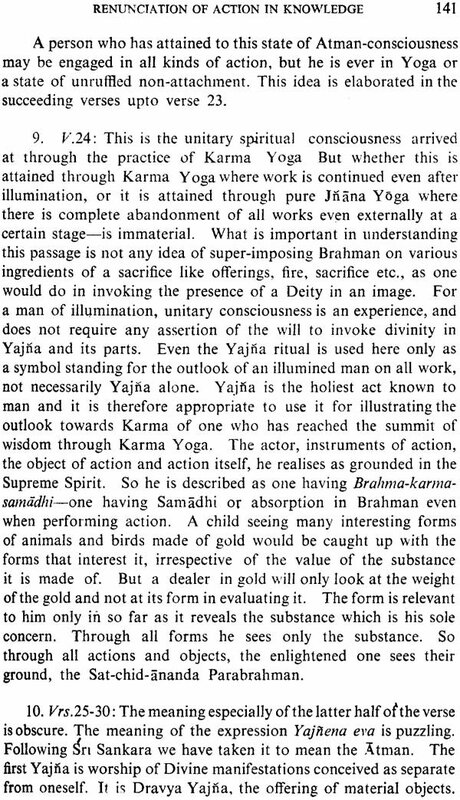 His actions are not self-centred and so have no binding effect on him. Work there-fore is the law of life for the ignorant, and an expression of love for the enlightened, the work of the former being self-centred and of the latter God-centred.